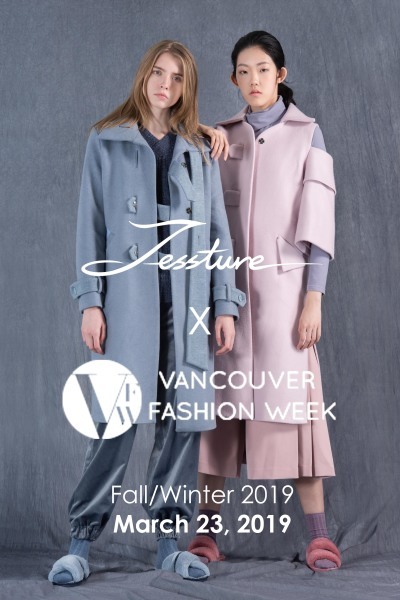 March 23, Vancouver, BC， Canada – JESSTURE is the talk of the city as designer Jessica Hu presents her captivating new collection at Vancouver Fashion Week Fall/Winter 2019 Season at March 23rd. Vancouver Fashion Week (VFW) is the fastest growing fashion week in the world and the only industry event that actively seeks out to showcase international award winning designers from over 25 global fashion capitals. Since its inception 18 years ago, VFW has operated with a firm belief in being a well-grounded local initiative with global instincts and intuition. COPYRIGHT © 2018-2019 JESSTURE, LLC. ALL RIGHTS RESERVED.